A direct line of communi-cation between students and the campus president’s office was open during a town hall meeting where all could ask questions and relay their academic concerns. NE interim campus president Tahita Fulkerson joined students for a Q&A, which was hosted by the NE Student Government Association. 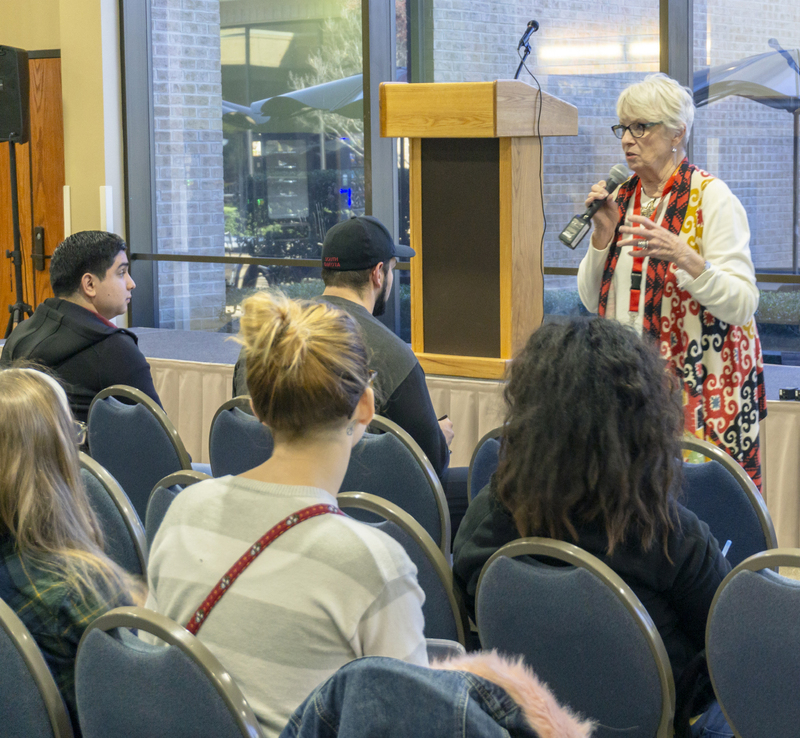 Fulkerson walked around introducing herself to students before the event and spent the session answering students’ questions with topics ranging from construction and building updates to campus food options and adviser consistency. NE student Kyle Martin said he attended because of concerns over the science buildings being outdated and asked the first question of the event. Fulkerson acknowledged the 50-year old buildings and said everything was being done to make upgrades. NE assistant to the president Fred Schmidt also responded and said a standard is being figured out for labs across all campuses. “There is a district initiative that started late last year to look at our science labs and how they would be rebuilt and restructured in terms of not just looking past but looking forward,” Schmidt said. When asked whether or not more options than Subway could be offered on campus, Fulkerson assured students their voices could be heard if they had a plan of action. NE student and SGA president Meesha Robinson was part of organizing the town hall and was pleased with the variety of questions that were asked. Robinson hopes to host a bigger town hall in the spring. She also asked a question during the meeting regarding how there could be more transparency between professors and students beyond the syllabus including things like how to access Blackboard. “How can we create a dynamic to where this information is shared with the students when they first get into the class?” she asked. Teachers, staff and administrators think about how to help students each day and provide clarity of direction, but students still need to advocate from themselves, Fulkerson responded. For example, students might find they were assigned the wrong book in a class.